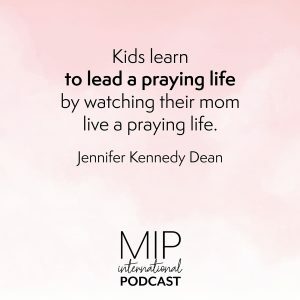 “We need to develop our praying lives, not simply a prayer life…there’s a difference between the two.” Today Lee sits down with Jennifer Kennedy Dean, Executive Director of the Praying Life Foundation, to discuss the way God developed and grew her heart for prayer. They explore unanswered prayer, cultivating a praying life, teaching our children to pray and how many books and studies later she still finds prayer fascinating. Jennifer Kennedy Dean is executive director of the Praying Life Foundation and a respected author and speaker. Her numerous books, studies, and magazine articles specialize in prayer and spiritual formation, and her work Live a Praying Life® has been called a flagship work on prayer. Her other titles include Pursuing the Christ, Clothed with Power, Set Apart, Power in the Blood of Christ, Power in the Name of Jesus, Altar’d, and Conversations with the Most High, among others. 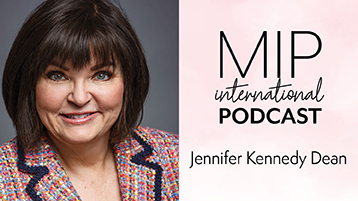 Widely recognized as an unusually gifted communicator, Jennifer speaks all over the world, calling God’s people to discover the difference between a prayer life and a praying life. Jennifer serves on numerous boards and committees for ministries focused on prayer and spiritual awakening and is a respected voice in today’s prayer movement. Thank you for this podcast! It gives me answers to give the several young people we mentor who are disappointed with God for their “Unanswered prayers”. So thankful to have heard this podcast today while waiting to pick up my son from school. So many beautiful truths and confirmations in this episode. I am extremely grateful for the Moms In Prayer ministry and for those like Jennifer Kennedy Dean who share their heart, passion, and wisdom to Moms like me. Wow! Never knew there’s a movement as such like this, all about our prayers and standing in gap in prayers for our children. I’m glad to be a part of this.